Compare at $61795 - Our Price is just $59995! Stitched leather, high gloss wood finish and enough power to pull a mountain. This is what the GLE truly is. 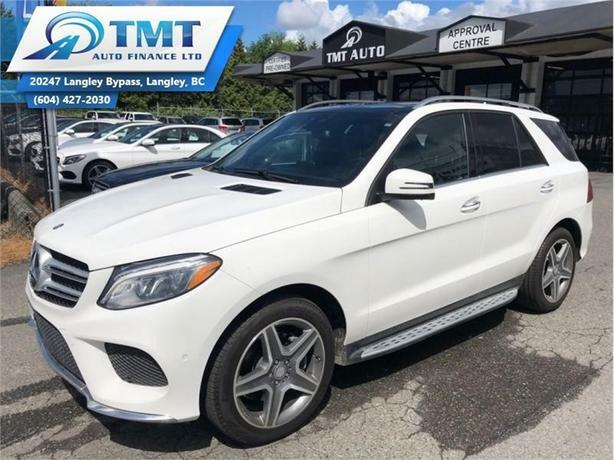 This 2016 Mercedes Benz GLE is for sale today in Langley. A worthy successor of the legendary Mercedes Benz M Class, this GLE is built to be more robust, cleaner and overall more effective as an SUV. Heavily updated with the latest of technology, cleaner and softer styling to suit the brand line up and with a great new interior, this GLE is a much more capable SUV with a large dose of luxury.This low mileage SUV has just 29249 kms. It's white in colour. It has a 9 speed auto transmission and is powered by a 255HP 3.0L V6 Cylinder Engine. It has some remaining factory warranty for added peace of mind. Buy this vehicle now for the lowest bi-weekly payment of $390.87 with $0 down for 84 months @ 4.99% APR O.A.C. ( Plus applicable taxes - Plus applicable fees ). See dealer for details.